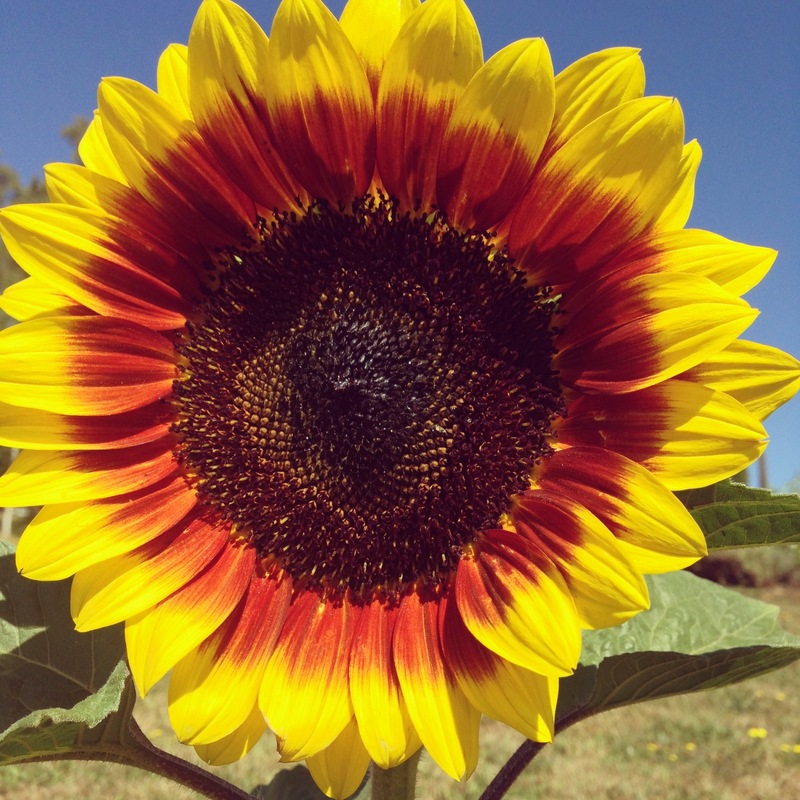 Of all the crops harvest-ready across the Australian landscape now, sunflowers would have to be the most striking. At a time when the land is more sundried than kissed, the sunflower’s seeded face – destined for turning into oil for our kitchen tables – is improbably cheerful. While few of us would recognize a blurry paddock of barley or wheat as we travel by at 110 kph, sunflowers are crowd stoppers: the subject of important paintings. Growing up, I had a poster of Van Gogh’s “Sunflowers” Blu-tacked onto my bedroom wall. I loved its rampant colours and wilting blooms that struggled to escape from the vase, as if the artist had just stuffed them into the nearest vessel he could find. On a recent trip to the Van Gogh museum in Amsterdam, I watched as a small group of school children gathered around a version of the painting that was my poster. Despite my not understanding Dutch, their enthusiasm for this not very hip bunch of flowers was obvious as they gathered in a half-circle, gazing at the artist’s brushstrokes, firing competing questions at their guide. One reached out to touch the painting, quite involuntarily, and you could catch his own gasp as he realized just in time what he had done. When the artist was working on his sunflowers 125 years ago he did so “with the enthusiasm of a man from Marseilles eating bouillabaisse”, or so he wrote to his friend Gaugin. There is something about sunflowers. 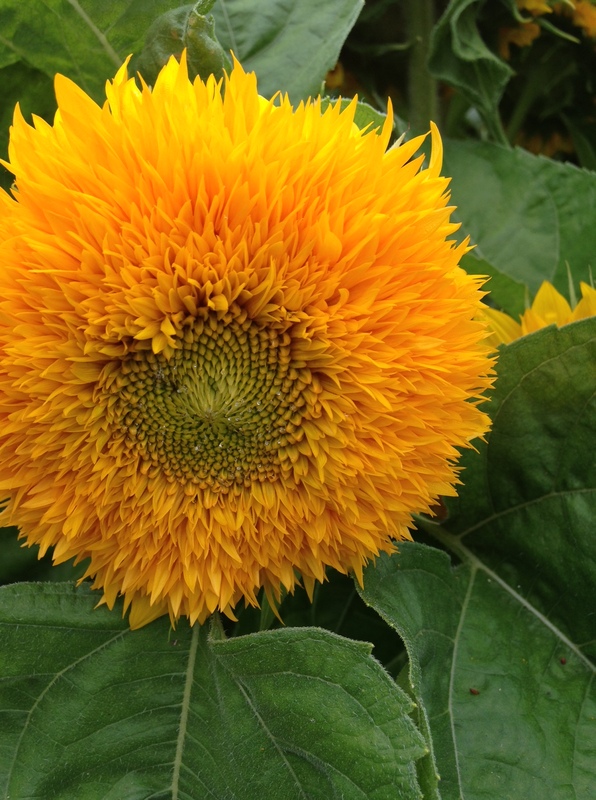 I used to sell potted sunflowers that I’d grown from seed for $2 a pot at Lilydale market. ChiIdren were my biggest customers and I like to think they wanted to nurture their pot so they could hold the sun in their hands. In the museum shop, “Sunflowers” was reproduced onto a dazzling array of domestic products from serviettes to canned puzzles. But I think the way to see them is in real life: inside the day, as you watch their improbably large heads follow the sun.